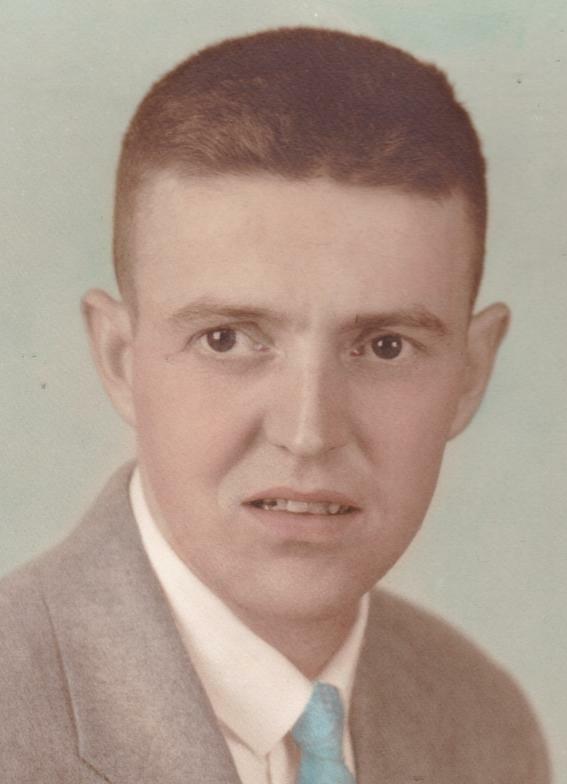 Gerald (Skip) Silvernail, 85, of Augusta, passed away Thursday, Jan. 24, 2019 at his home. Gerald (Skip) Silvernail was born June 18, 1933 to his parents Hubert and Harriet (Jarvar) Silvernail. He was preceded in death by his parents, his brother Sterling, and two sisters Helen Lola Bartz (Victor) and Frances Jahr (Marvin). He spent much of his youth at McDonough playground where he learned most of the sports available. In citywide competition he won championships in horseshoes, checkers, badminton and table tennis. He also won championships in boy’s, junior boy’s and men’s tennis. 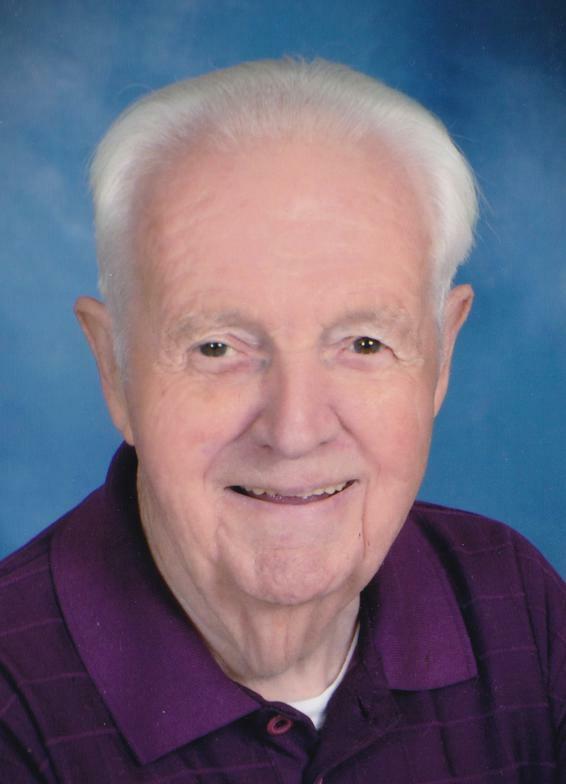 He played on Eau Claire Memorial’s varsity tennis team all four years and was the number one player and was team captain in 1951.After graduation Skip spent two summers teaching tennis and making maps for the Parks and Recreation Department in Eau Claire. Skip attended college for two years and was drafted into the U.S. Army during the Korean war. He spent most of his time in West Germany with the occupation forces there. At discharge time he was offered entrance to Officer Candidate School, but felt he should finish college instead. He returned to Eau Claire and in 1956 married his wife of over sixty years, Yvonne (Quevillon). They were blessed with three daughters, Susan Arndt (Steve), Sondra Larson (James) and Sharon Lone.After college graduation Skip was hired by the Augusta School District to teach World and U.S. History. He received his Masters Degree in Counseling from UW Stout in 1966. Skip spent the summer of 1968 in a special program at the State Employment Service and was offered a full-time position there as a counselor. He could not accept the job because he had signed a contract to work at the new Vocational and Technical School as Financial Aid and Placement Director and Foreign Student Advisor. In 1970 he was elected President of the Wisconsin Association of State Financial Aid Administrators, which included all of the Technical Schools and Colleges in the State of Wisconsin, and two years later he was promoted to Admissions Coordinator. He found a way to work every Saturday. He conducted the State Court Service examinations on the first and third Saturdays of the month and testing for Insurance business on the second. On the fourth Saturday he proctored the complicated testing for the Federal Aviation Administration. On the rare fifth Saturday in a month he proctored automobile mechanic exams for certification. In his spare time Skip was chairman on the local Cancer Society, Chairman of the Eau Claire Library Committee and a member of the Chippewa Valley Symphony board.When he was in his mid-forties health problems began to plague him. Diabetes, high blood pressure, high cholesterol, kidney stones and heart problems made leaving the Technical School a must.He soon was hired by the Peoples State Bank of Augusta. While there his health problems continued and he received a pacemaker and had twelve stents implanted. Skip served as President of the local AARP chapter for four years and more, then fifteen years as Treasurer of the group. He and Yvonne delivered meals on wheels for over twenty years. He belonged to the VFW organization and served as Commander for four years and as the Chaplain for many years. He also belonged to the American Legion for over thirty years and served on the Scholarship Committee of both groups. Skip served on the committee that built the Veterans Memorial in downtown Augusta. In his last few years of employment he worked for the management of three nursing homes in Barron, Fairchild and Dallas. His final job was as Administrator of the Fairchild Nursing Home. Skip will be dearly missed by Yvonne, his loving wife of 62 years; 2 daughters, Susan(Steve) Arndt and Sondra (James) Larson, all of Augusta, 6 grandchildren, Andrew (Amy) Arndt, Charlie (Kat) Waskiewicz, Jenny (Adam) King, Benjamin Lone, Carson Taylor (Shannon Flynn), Eric Taylor: 7 great grandchildren Abbie, Cainnin, Lilly, Gavin, Owen, Lola and Kai; nephews Bruce Bartz, David and Wayne Jahr, nieces Ellen Bartz, Audry Jahr and Anita Moltzen. Skip was also preceded in death by his daughter Sharon Lone; grandsons, Patrick Ousey and Michael Lone; and sons-in-law, Jay Ousey and Robert Waskiewicz. A visitation will be held from 4 to 7 p. on Tuesday, January 29, 2019 at the Anderson Funeral Home in Augusta. Funeral services will be held at 11:00 a.m. on Wednesday at St. Paul Lutheran Church in Augusta, with Pastor Gary Sahs officiating. Friends may call 1 hour prior to services Wednesday at the church. Burial will be at a later date in the West Lawn Cemetery in Augusta.